Does science fiction need plausible science? Some debates are just doomed to be repeated ad infinitum. One that seems to pop up on my radar every few months is the question of whether science fiction (SF) needs to have an accurate representation of science. This debate was quite lively when Christopher Nolan’s Interstellar was released last year, with some critics taking the film to task for its spirituality disguised as science. But I’ve read a few more articles lately, from sources such as Space.com, the Berkeley Science Review, and io9.com, and it’s compelled me to add my own voice to the debate. I have always maintained that the primary purpose of SF is to tell a good story – like all literature – and that other considerations, such as scientific validity, are secondary. Of course, it doesn’t hurt to have a combination of both, and authors such as Arthur C. Clarke or Greg Bear or Michael Crichton, who can weave credible science into an excellent tale, produce some of my favourite SF. No one regards Star Wars as a paragon of scientific verisimilitude, but there are those out there who insist that the genre has a responsibility to scientific plausibility, that it should emphasise the science over the fiction. And I disagree with this. 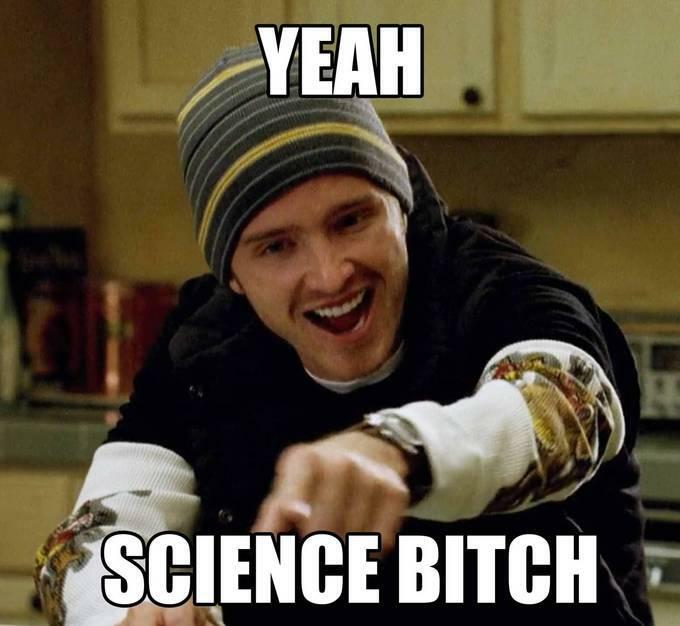 Jesse from Breaking Bad expresses his support for the scientific method. It’s a debate that’s been raging for decades, almost as long as the genre has had a name. Magazine editor Hugo Gernsback, who invented the term science fiction, believed that the genre should be a didactic project. He defined SF as “a charming romance intermingled with scientific fact and prophetic vision… Not only do these amazing tales make tremendously interesting reading – they are always instructive. They supply knowledge… in a very palatable form. New adventures pictured for us in the scientifiction of today are not at all impossible of realization tomorrow.” And yet his insistence on scientific accuracy has often been lamented as damaging the stylistic quality of his nascent movement. It wasn’t until the Golden Age of SF, when John W. Campbell, Jnr was the editor of Astounding, that stories began to improve in quality, focusing less on accurate science and more on good storytelling. But Campbell’s time at Astounding eventually evolved entirely away from credible science; his promotion of Dianetics and other pseudosciences undermined what many people thought was the key mission of SF – plausible science. And thus the divide between Gernsbackian didacticism and Campbellian mysticism is one that you’ll read in many critical histories of the genre. The danger of making SF a didactic genre is that our understanding of the natural world changes over time. The science could become obsolete. A scientific theory that underpins a story in one decade could be completely disproven by the next. When Mary Shelley’s Frankenstein (1818) was written, the precise nature of electricity was still under debate, and many scientists believed that it was a life-giving fluid that really could reanimate dead tissue. We now know that this is incorrect, but it doesn’t stop Frankenstein being a powerful novel about hubris and the human consequences of scientific experimentation. Similarly, Arthur C. Clarke’s A Fall of Moondust (1961) features the crew of a Lunar boat sinking beneath the dusty surface. The fact that seas of dust on the Moon have been disproven doesn’t detract from the potency (and claustrophobia) of the narrative. In both these cases, and many others, it is the quality of the storytelling – rather than their scientific accuracy – that recommends these tales to posterity. Similarly, I think claims that SF should focus solely on mainstream science are equally flawed. Some of the best SF happens when exploring the peripheries of science, along those blurred boundaries that are beyond our understanding. Edgar Allan Poe wrote his most confronting SF when contemplating the subject of mesmerism, which still existed in the grey area between science and spirituality in the 1840’s. SF in the nineteenth century was a heady mixture of pseudoscientific ideas collapsing into the mainstream. But science itself was in a state of flux, as it separated from older traditions of natural philosophy and allied itself more closely with the materialistic discipline that we recognize today. Just as scientists were testing those pseudoscientific ideas, so too were authors experimenting with them in fiction. It was all part of a wider tapestry of accepting those strange ideas into both science and society. I’m a big proponent of science education, but I don’t believe that SF is necessarily the right platform for this education. Audiences need to recognize that these are fictional texts – an author or filmmaker’s interpretation of a story, and the responsibility to provide something that is factually accurate doesn’t apply. Interstellar was criticized for laying claims to credible science, then throwing in spiritual themes. But, as I wrote in a previous article, it’s up to a discerning audience. Wormholes may be a plausible science, but love transcending dimensions certainly isn’t. The audience shouldn’t take a work of fiction as a scientific truth. 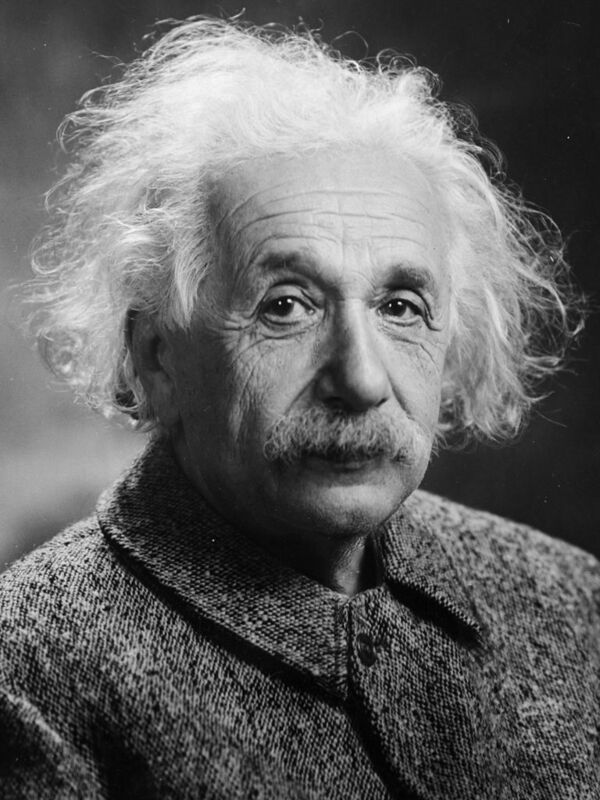 The internet informs me that Albert Einstein was a scientist. The level of expected plausibility can also vary depending on what sub-genre we’re dealing with. We expect the stories of Hard SF, for example, to be generally accurate in their representation of science, whilst a Space Opera or a Steampunk story may be completely indifferent towards scientific verisimilitude. It’s a question of definition. And one thing that frustrates me about this debate is that critics have different standards for different texts. The suspension of disbelief we grant Space Opera is much higher than that which we grant to Hard SF. We forgive Star Wars for its laser swords and mystical powers, but nitpick Gravity when the space stations don’t conform to their real-life orbits. Given this enormous range of expectations, it’s impossible to pin down one overarching rule for the entire genre of SF: some stories, by their very nature, will focus less on science. It doesn’t detract from the quality of those stories. Some of you might be asking the inevitable question: if science is not a driving factor, aren’t these stories just Fantasy? The blurry line between SF and Fantasy is definitely a subject I’ll save for another day, but it’s worth noting an important distinction. The SF world is generally realized within a cognitive, materialist framework. 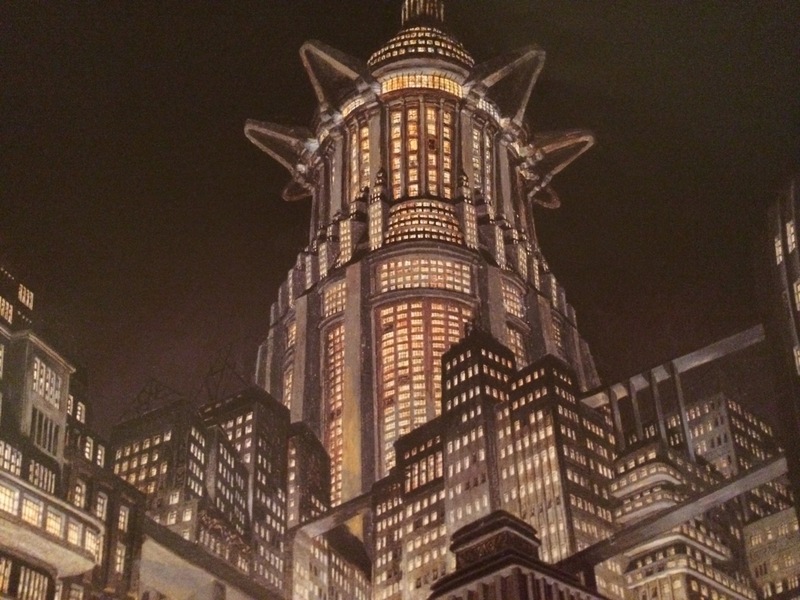 Whereas Fantasy usually utilizes supernatural elements, SF relies upon science and technology. There are numerous (and glaring) exceptions to this, of course. Star Wars features the Force, which is mysticism more closely allied with Fantasy than SF. But I’d like to think that this balance of the rational and the mystical is somehow reflective of the real world; it’s entirely possible to explain the world through the language of science, yet the vast majority of the human race still hold on to supernatural beliefs. There are places, however, where even I’m tempted to draw a limit. A story in which homeopathy is accepted as mainstream science, or where the anti-vaccination lobby emerges triumphant, would be pretty hard for me to swallow. However, plots such as these are indicative of the age in which we live. The anti-vaccination lobby is prominent in our media, and SF has a responsibility to explore that debate, to capture a snapshot of our fractured society. The genre has always been a mirror of our world, and the mirror must sometimes reflect the unpalatable ideas alongside the good. As I’ve written previously, to stop engaging critically with pseudoscience or spirituality is to stop questioning the boundaries of science. So much of what we now know as established science arose because someone decided to apply scientific experimentation to what was then a supernatural phenomenon. Works of fiction may not have a responsibility towards scientific accuracy, but they do have a responsibility to challenge our preconceptions of the world. I think the continued exploration of pseudoscientific ideas in SF is a healthy thing – we haven’t stopped questioning, we haven’t stopped experimenting. Most importantly, we haven’t stopped wondering. Well said. There’s also the danger of it limiting the genre in ways; an author is much less likely to try to write a predictive tale of life on Earth 1000 years from now if he has to use modern science as a platform, I’d think. It simply evolves too rapidly. And, as you mentioned, there’s also the danger of it being sidelined in the decades to come because of its veracity. Another great example of this is War of the Worlds. We now know there’s no alien lifeform on Mars to come eradicate us, but it’s hard to locate another novel that so perfectly captures the fear, terror, despair and chaos that permeates a war zone. Given the tensions in the Middle East, just to give an example, I would think such a narrative is more powerful than ever before in our understanding of life on Earth. You’re quite right – science evolves much too quickly to make accurate predictions of the future. Thankfully, it doesn’t prevent us from making a commentary on today’s world. War of the Worlds is a great example! Come to think of it, a few of Wells’s novels could’ve demonstrated my points. Thanks.